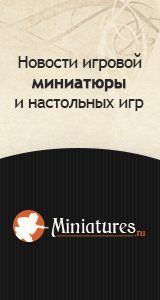 S01 Four Saxon musketeers with covered shakoes in advancing poses 460.00руб. S02 Four Saxon musketeers with calfskin covered shakoes in advancing poses 460.00руб. S03 Four Saxon musketeers with uncovered shakoes 460.00руб. S04 Four Saxon musketeers with covered shakos in advancing poses 460.00руб. S05 Four advancing musketeers with levelled muskets 460.00руб. S06 Four Saxon musketeers with uncovered shakos in advancing poses 460.00руб. S07 Six advancing musketeers, muskets held at high porte. Covered shakos 690.00руб. S08 Advancing Saxon musketeers, muskets held at high porte, calfskin shako covers 460.00руб. S09 Advancing Saxon musketeers, muskets held at high porte, uncovered shakos 460.00руб. S10 Advancing Saxon musketeers, 2 with leveled muskets and two with muskets at high porte 460.00руб. S11 Advancing Saxon musketeers, muskets held at high porte, covered shakos 460.00руб. S12 Advancing Saxon musketeers, muskets held at high porte, calfskin shako covers 460.00руб. S13 Advancing Saxon musketeers, muskets held at high porte, uncovered shakos. 2 figures with heads turned and two with greatcoat rolls 460.00руб. S14 Command pack, covered shakos 700.00руб. S15 Command pack, calfskin shako covers 700.00руб. S16 Command pack, uncovered shakos 700.00руб. S17 Foot officers with covered shakos, blue-grey uniforms 460.00руб. S18 Foot officers with covered shakos, white uniforms 460.00руб. S19 Foot officers with uncovered shakos; two with blue-grey uniforms, two with white uniforms 460.00руб. S20 Extra NCOs pack 460.00руб. S21 Enthusiastic and falling casualty pack 460.00руб. S22 Mounted Musketeer Officers 1,100.00руб. S23 6 Saxon grenadiers in march-attack poses. Covered shakos 680.00руб. S24 6 Saxon grenadiers in march-attack poses. Uncovered shakos 680.00руб.